By the mid-1830s the women decided they needed to have an “Asylum” to house some of their “pensioners.” One Sunday, the minister of the Church of the Ascension preached a sermon extolling the idea, and a special collection was taken up. The story goes, that on the way home from church that day, Mrs. Peter Stuyvesant urged her husband to find some land for the Asylum, ad he did. John Jacob Astor gave the group $5,000 if they could raise another $20,000. They accomplished that; there is no list I could find of their donors, but they did thank “the merchants of New York” for their generosity. 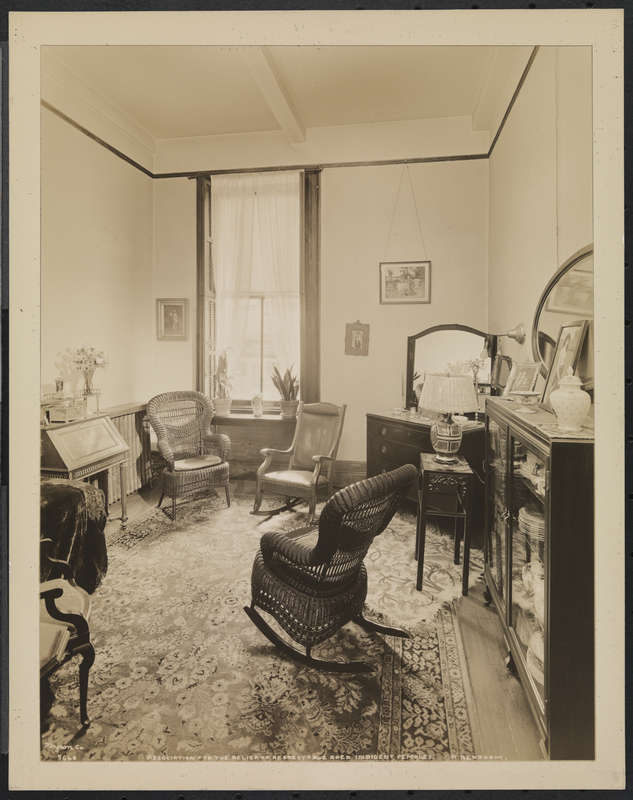 Once the funds were in place, the women asked their husbands to form a “Committee of Gentlemen” to handle the tasks of contracting the work and getting the Asylum built. 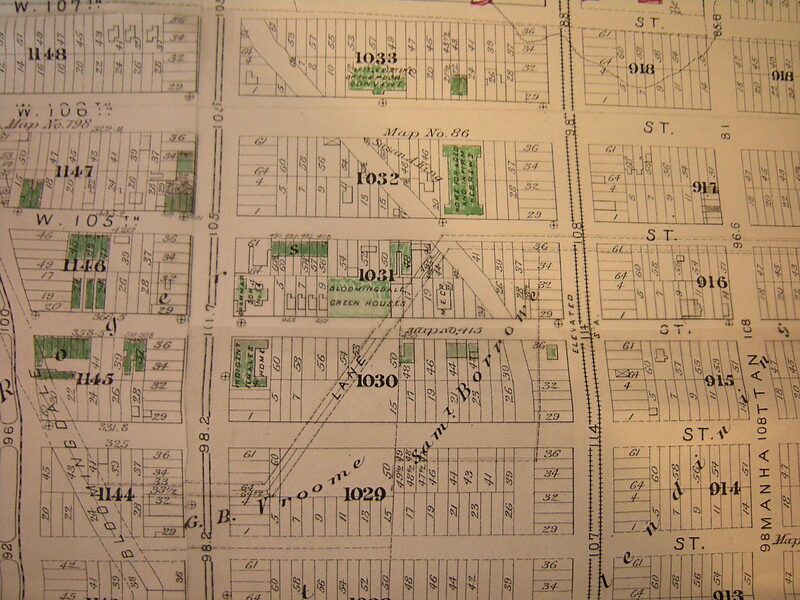 It opened in 1838 on East 20th Street, between First and Second Avenues. This illustration found at the New-York Historical Society shows that residence. But first, the Association purchased new land, on Tenth Avenue between 103rd and 104th Streets. The twenty lots were bought from Charles Russell at $4,000 each. As the Association moved into this new phase, Mrs. E.D. Morgan — Eliza Morgan — had become the First Directress. then known as the Boulevard. The area had once been farms, and then country homes during the 17th and 18th centuries. But the recent opening of the Ninth Avenue Elevated train (the “El”) was sure to spark real estate development, just as the opening of the IRT under Broadway would do in 1904. The Association was just one of a number of charitable organizations that settled in the country-like atmosphere of the Upper West Side. 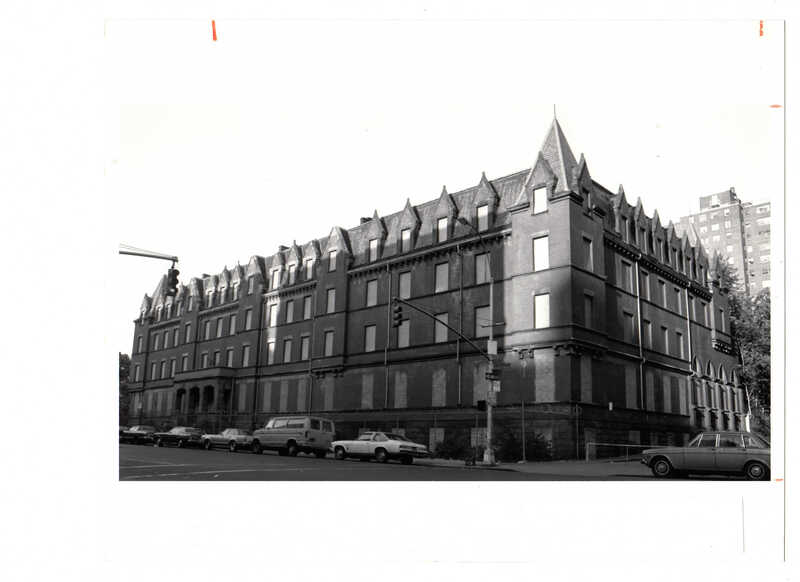 Years before, the Bloomingdale Insane Asylum located where Columbia University is today. 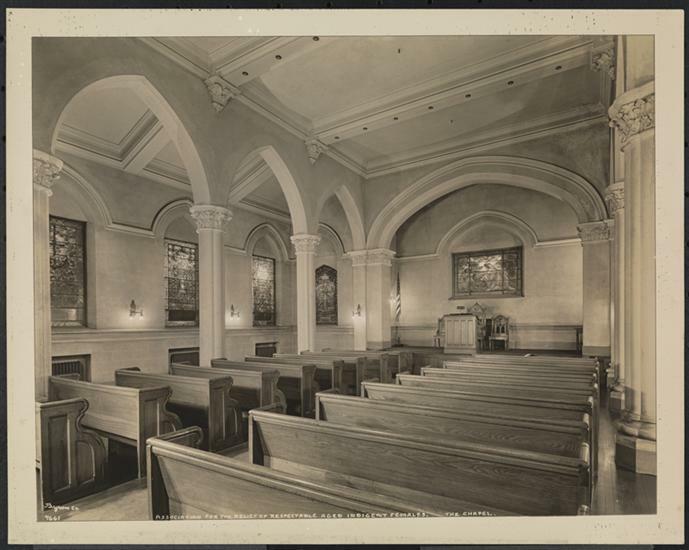 The Leake and Watts Orphanage was located on the grounds of the Cathedral of St. John the Divine. 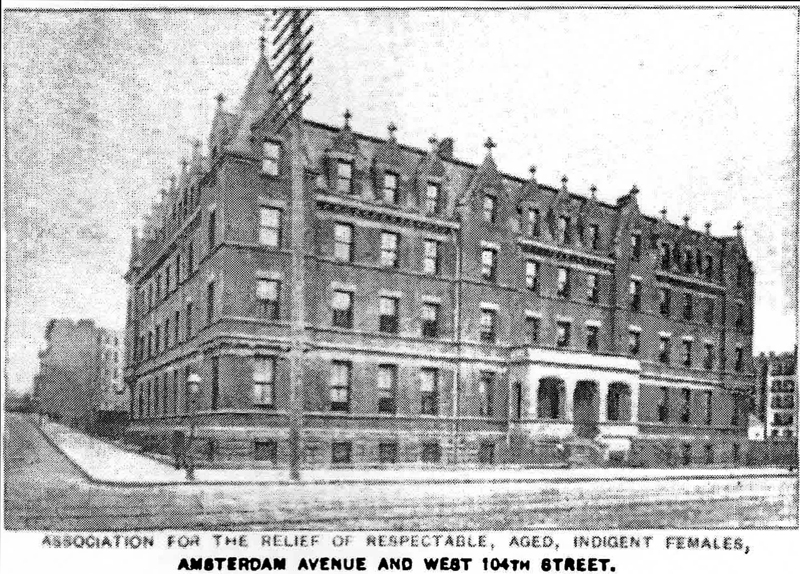 Nearby the Association Residence was a Catholic Home for elderly people on West 106th Street, and a Jewish home on West 105th. The original Association Residence did not cover the whole block —- it was in 1908, when Mrs. Sage had given them a gift of $250,000, that the addition extended the building southerly to the corner of West 103 Street. The architect for the addition was Charles Rich. The addition included the installation of Tiffany windows to the Chapel. Those windows are now in a museum in Winter Park, Florida. 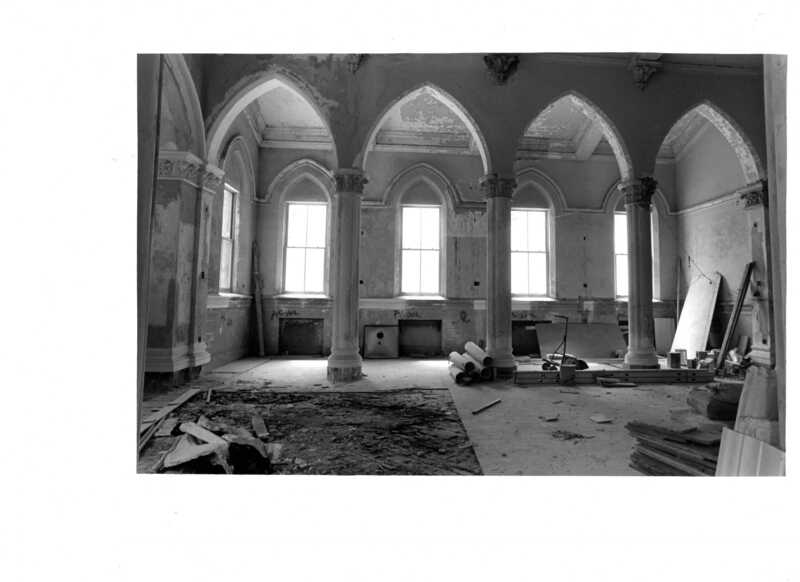 A new voluntary community organization was formed as the Committee to Save the Hunt Building by co-chairs Chuck Tice and Charlie Lee, assisted by several Columbia students. Chuck remembers obtaining Rep. Charles Rangel’s assurance to help get the building placed on the National Register of Historic Places, following the committee’s first meeting at the Bloomingdale Library. Meanwhile, other events were happening. The State of New York launched investigations – long overdue — of their nursing homes, with the Towers Nursing Home on Central Park West becoming the most visible of the horrendous conditions the elderly were experiencing. Soon funding for new nursing home operations dried up —- and the Association was out of money and time. They withdrew totally from their building site, and the building became officially “abandoned.” That made it in rem property of the City of New York. This process took a number of years —- the details are considerable —- but everything was in place to begin construction by 1987. A private developer, Sybedon Corporation, was brought into the process to handle the financing and management of the construction, with a contract with AYH that gave the non-profit an opportunity to own the building outright after a certain number of years. The Hostel opened in January 1990 —-although not to immediate success. There were 480 beds, and the rate was $19.00. Many staff and volunteers worked tirelessly to make the Hostel a safe, clean, comfortable accommodation, and to reach out to hostellers with programs and activities that enhanced their visit to New York. The Hostel serves as a neighborhood employer and a place for community meetings and celebrations. Eventually, occupancy began to grow, and an explosion in tourist visits to New York put the hostel on the map. By the late 1990’s the Hostel was able to increase its allowed beds, and also occupancy, and it really took off, becoming one of the largest youth hostels in the world. In 2001, the events of 9-11 caused setbacks, but later, tourism and the hostel came back. This entry was posted in Association Residenc for the Relief of Respectable Aged Indigent Females, Hostelling International New York. Bookmark the permalink. Congrats on the wonderful new blog! Pam Tice’s article spoke to me right off. 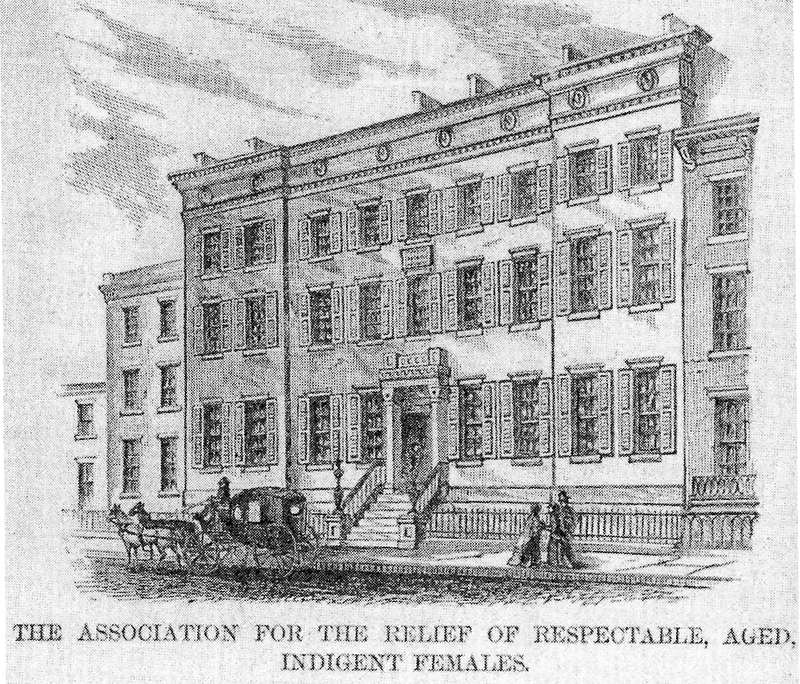 I regularly pass by the wordy organizational name of the Association for the Relief of Respectable Aged Indigent Females some 50 blocks farther uptown. At 153rd Street between Amsterdam Avenue and Broadway, the Easterly Division of Trinity Church Cemetery contains a hefty stone grave marker dedicated to this venerable organization. 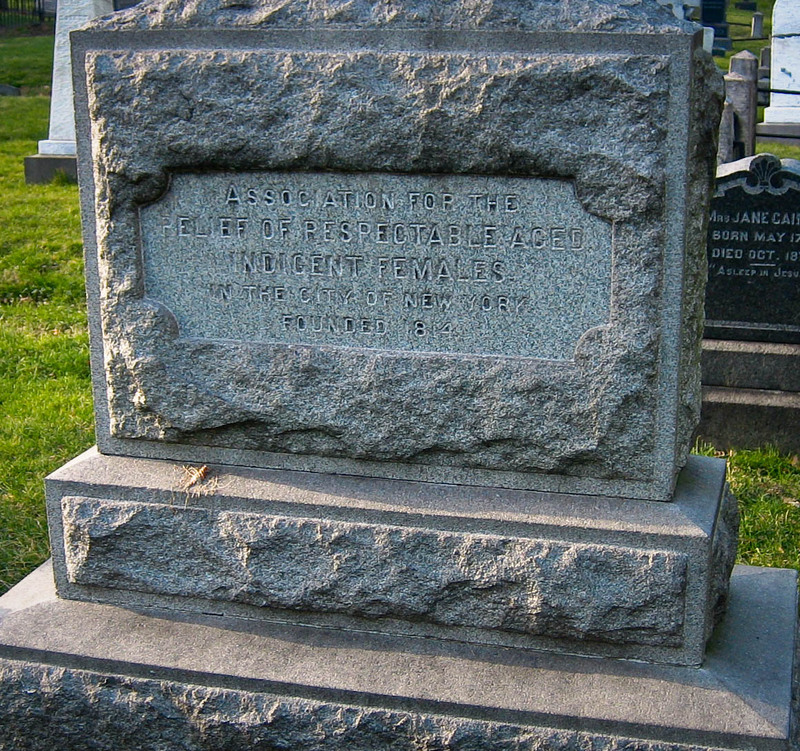 The burial plot resides among those of numerous 19th-century eleemosynary institutions that once conferred their dead to these grounds. I look forward to reading more posts! Wow! Bravo Pam Tice for such a comprehensive, nuanced tale of this wonderful building and its vital institutions! Thank you for the wonderful information! The hostel was my first home in New York in 1992, when I worked in Reservations. 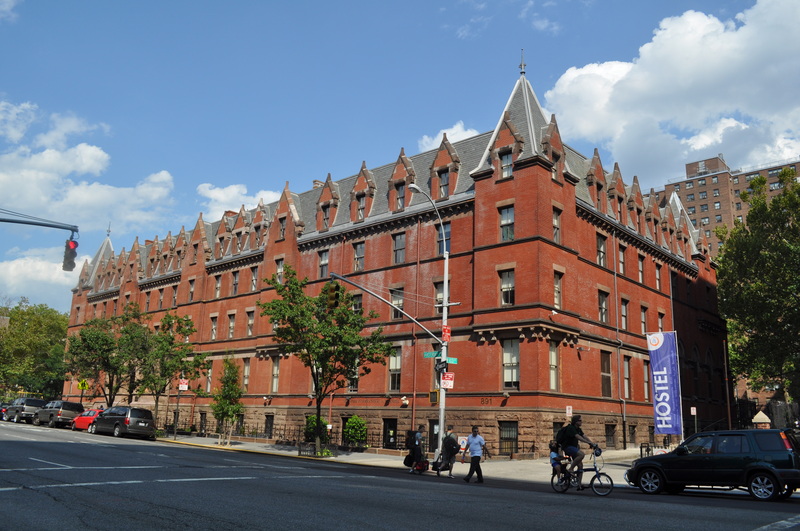 Now pursuing a degree, one of my studies brought me to the work of eclectic architect, Richard Morris Hunt, and one of his creations…the AIA-NY. I had first stayed in the hostel in the winter of 1991, and had been told it had been a home for Civil War widows. Thank you for making this information available! Pingback: #NYTravFest The People You Meet — Pt. 2 | Modern Vintage Ink. Thank you for the nice history of 891 Amsterdam Ave. It brought back memories when I would drive into the city with my mom from Queens on weekends to visit my great aunt living there till her death in 1969. I remember how tiny her room was, with the single bed. Sad. I will save this article for my Ancestry file.